Hello, and as the title to this latest Railwaymedia Blog suggests, it is a quick edition before a planned trip to Bulgaria this week. Fingers crossed that, unlike my previous trips to Poland and Hungary, I might actually get to see an ex-British loco in action abroad. 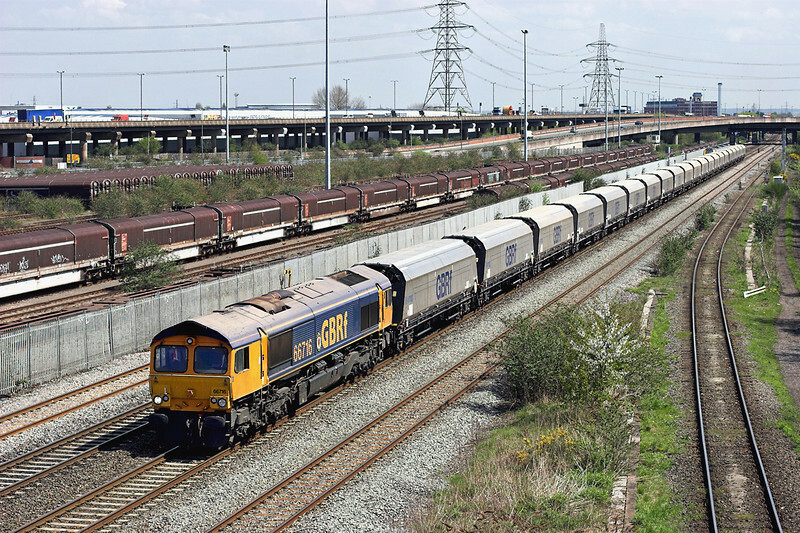 I have manged to see a few DB Schenker Class 66's in France, but they aren't really anything to get too excited about! Since I wrote the last edition I have had a couple of short trips out with the camera and have also more or less finished scanning in my pictures from 2002 onwards that I have the negatives for: I took photographing trains back up in late 2002 so have a small number of images from November of that year onwards until my first digital camera in mid-2003. Unfortunately I was generally using pretty poor quality film so the results are mixed. There are two temporary albums of the pictures I have recently scanned in, available in the New Additions section for maybe another week or so. Aside from those pictures I got to scan in, the three trips I mentioned were to Birmingham, Barrow (the small Lancashire one) and to the Keighley and Worth Valley Railway's Diesel Gala. Keighley was arranged as a meet up with a few friends for some beer, principally, but with several locos out on the line that I have not photographed before, some amount of picture taking was called for in between the consumption of pints of real ale, available from the excellent buffet cars on the two trains. 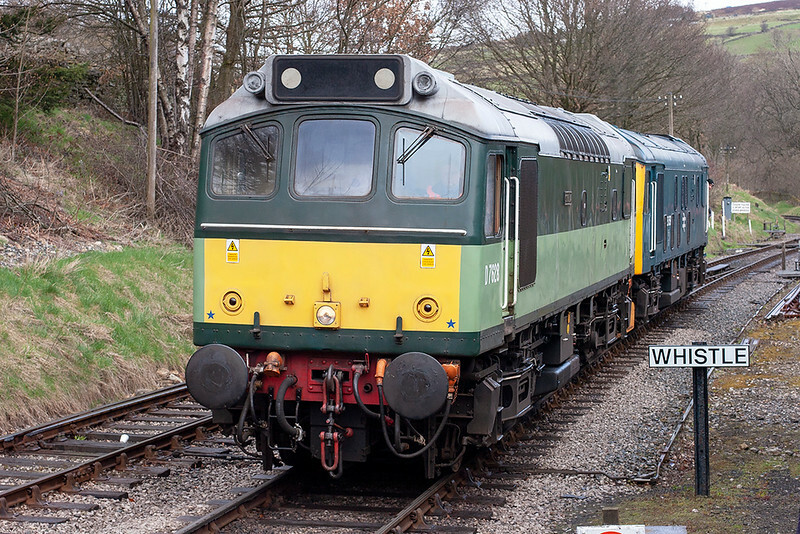 One of my main targets was the North York Moors Railway's class 25 which was visiting. I had only previously shots of the resident class member 25059, the pair of them looked very good hauling trains, indeed I wonder how long it is since a pair of 'Rats' last hauled a train together? One of the highlights for me was actually the K&WVR's resident prototype diesel loco D0226, one of a pair built at the Vulcan Works in 1956. 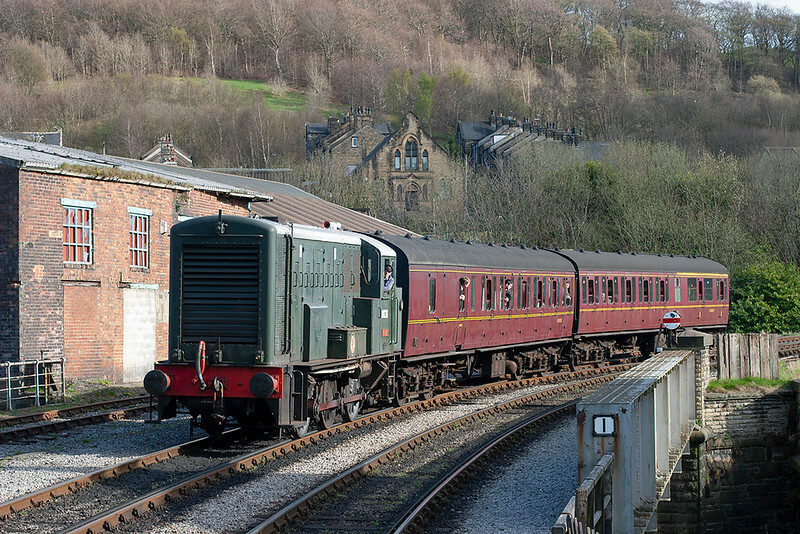 It was employed working shuttles on the short section from Keighley to the first stop Ingrow. It certainly growls a lot! Next time I'm there I shall ensure that I go for a ride behind it as this time I just concentrated on getting a couple of pictures of it. Talking of Ingrow, if you are ever travelling on the K&WVR, then the chippy over the road from Ingrow station is highly recommended. We just had time between trains to nip there to pick up some dinner; a proper Yorkshire Fish and Chip shop, second only to the one I have visited before on Sowerby Bridge High Street in my opinion. Despite also getting a pint bought for me from the buffet car I also had to have a can of Dandelion and Burdock with it; to me Yorkshire Fish and Chips simply aren't right without one. Just shame it wasn't a traditional Ben Shaw's can of the stuff! Richard, being a southerner I suppose, had to spoil his fish by getting curry sauce put on it! With nice weather for a few days before and during the last Bank Holiday weekend, a sunny afternoon coincided with a test run of the ex-LNER B1 'Mayflower'. This was the now usual Carnforth test circuit via Hellifield and Blackburn, which also is ideal for the angle of the sun for much of the route. I don't often photograph steam trains due to the number of other people that tend to appear, but there was just myself and one other person present when it passed the foot crossing near the Lancashire village of Barrow, which is situated between Clitheroe and Whalley. The steam train runs about 45 minutes in front of the daily Carlisle to Crewe DBS Departmental freight train and, for now at least, the Carlisle to Chirk log train. 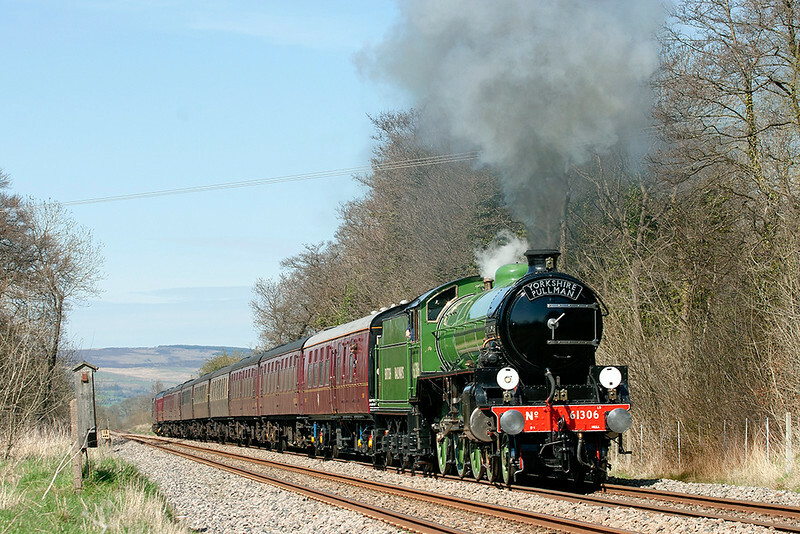 There are rumours that this is soon to be routed via the Cumbrian Coast rather than the S&C, which will be interesting. As it was on this particular day it didn't run at all so I just waited for the first freight to pass. 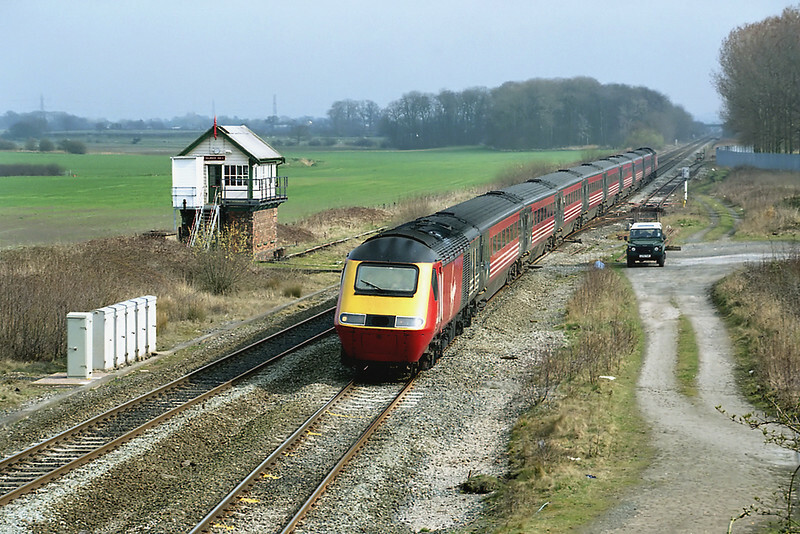 Should you be interested in finding locations to photograph this reasonably regular test working, may I direct you to Vision International's Trainspots North West book, which is still available, and covers the whole of the route that it traverses from Carnforth. Yours truly had a small hand in both this and the Midlands version which, co-incidentally for the purposes of this blog, includes the location at Washwood Heath, Birmingham, where I also got to spend a few hours last week. This location is a quiet bridge which leads to the works at Washwood Heath. I was surprised on such a nice day to be the only one there. To reach there by public transport, the 66/66A bus runs every 15 minutes from Birmingham City Centre to Star City, which itself is about a 10 minute walk to the bridge. Since I last visited, the bus stops in Birmingham City Centre have all moved which confused me somewhat. Even for a seasoned traveller of buses I didn't find the bus stop locator diagrams/list very intuitive, nor the bus stop displays easy to read. That was after I had negotiated the 'new' Birmingham New Street, midway through it's redevelopment. Hopefully when it's all finished it will be a big improvement. It requires a leap of imagination to see that yet though! So, that's about it for now. I have high hopes of seeing a few expatriate class 87's over the forthcoming week in Bulgaria, and maybe even a class 92; please of course check back here in a week or two for the results. If any of you want updates when new pictures are put on my website please click the 'email' link on the homepage and I will add you to the mailing list. Of course as I am going to Bulgaria this week, the wife and kids had to have a holiday somewhere so went to the Isle of Man a few weeks ago. 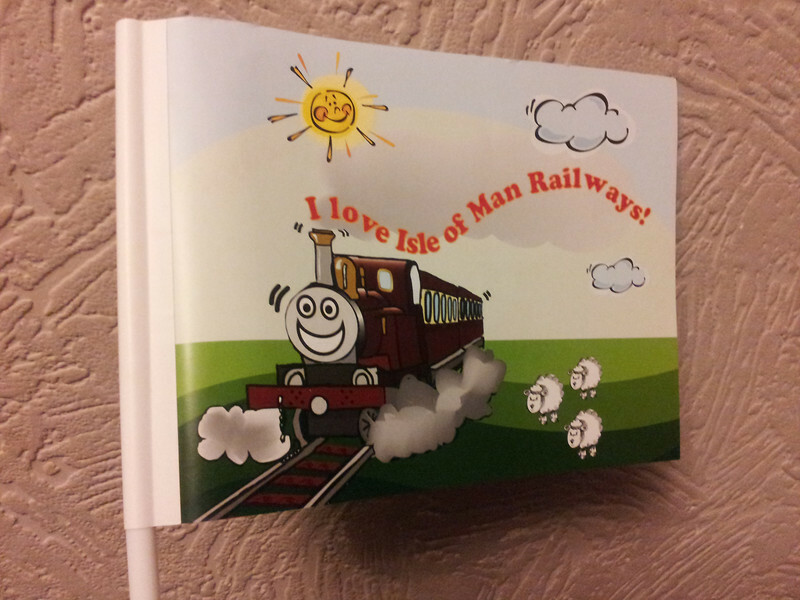 It's the first time I haven't accompanied them there, though in the previous two visits I have managed to cover quite comprehensively the railways of the island (which can be found HERE ). I shall leave you now with a picture of the present I received on their return, (well I also got 3 bottles of Okell's beer too!) Thanks for reading, bye for now!